*Please note that when we will be working with a child, the first appointment is with the parent(s) or guardian(s) of the child, without the child present. It's the worst feeling in the world when something isn't right with your child. Maybe something has happened, and you're worried about the impact it could have on your child's life. Worries or fears, sadness or depression, bullying, the death of a family member or pet, a move or other transition, nightmares, behavior problems, and past trauma or abuse are all reasons that parents or caregivers might seek therapy to help a child. Maybe you and your child just aren't connecting. The bond between you seems off somehow, and you don't know what went wrong. You're tired, you're stressed, and worst of all, you feel like a complete failure as a parent. It doesn't have to be like this. Thrive Counselling Winnipeg offers play therapy for kids, parent-child therapy, and parent support and coaching. The first appointment is with you, to talk about your child and how we can help. Therapy at Thrive costs less ($80/session) than at many other therapy services. Click here for help on how to check if your insurance covers counselling. Your Thrive Counselling therapist is here to support you, too. We know how tough parenting can be, and we will give you the support you need. 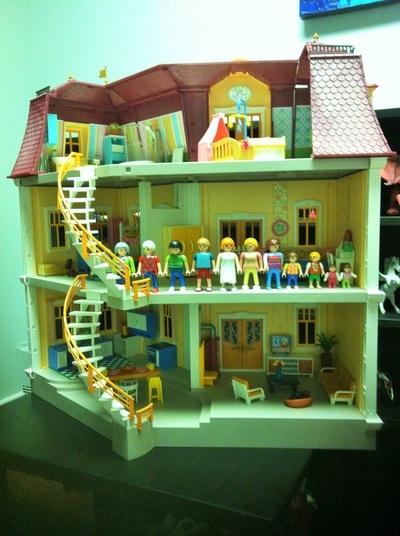 Play therapy at Thrive Counselling can help your child resolve inner struggles, stresses, and fears. It can help your child become happy and confident. At Thrive Counselling Winnipeg, your therapist can help you get to the heart of what's causing your child's difficult or worrying behavior, and heal it. If you are your child aren't connecting, parent-child therapy at Thrive Counselling Winnipeg can help you heal your relationship, and feel close and happy together. Parent coaching at Thrive Counselling can help you create a happy life for your family, and learn that you are the best parent your child could have. Therapy at Thrive Counselling can help you and your child thrive, together. How does individual play therapy for kids work? Individual play therapy is simply therapy in a different language. I remember the first time I really started to understand play therapy. I was in a session with a child who was not speaking to me much, and I started to wonder how I could connect with him. I began to watch what he was doing more closely. All of a sudden everything I had learned in training and read in textbooks made sense, because I realized that he was already communicating with me, just not with words. He was using the art supplies and toys to show me how he felt about something that had happened to him. That moment was like a whole new world opening up to me. Now I understand that children share their feelings in many ways. The therapist's job is to help them to express themselves as they choose, so that they can feel better about whatever is bothering them. Are parents or caregivers involved in play therapy? At Thrive, caregivers are an important part of the play therapy process. When we will be working with a child, the first appointment is always with the parent(s), caregiver(s), or guardian(s) of the child, without the child present. This gives you a chance to share your concerns, and allows us to get a sense of how best to help. If you and the therapist decide together that parent coaching would likely be most helpful, sessions will consist of you and the counsellor meeting to discuss how to help and support your child. If parent-child therapy is most likely to be helpful, the therapist will be working with you and your child, together. If individual play therapy is most appropriate, you and your child's therapist will still be working as a team to help your child. The therapist will meet with you every so often to check in with you about how things are going at home, and to be a resource to you if you have parenting questions or would like suggestions about how to handle some of your child's behaviors, how to support your child through a tough time, etc. Will you tell me everything my child says and does during play therapy? 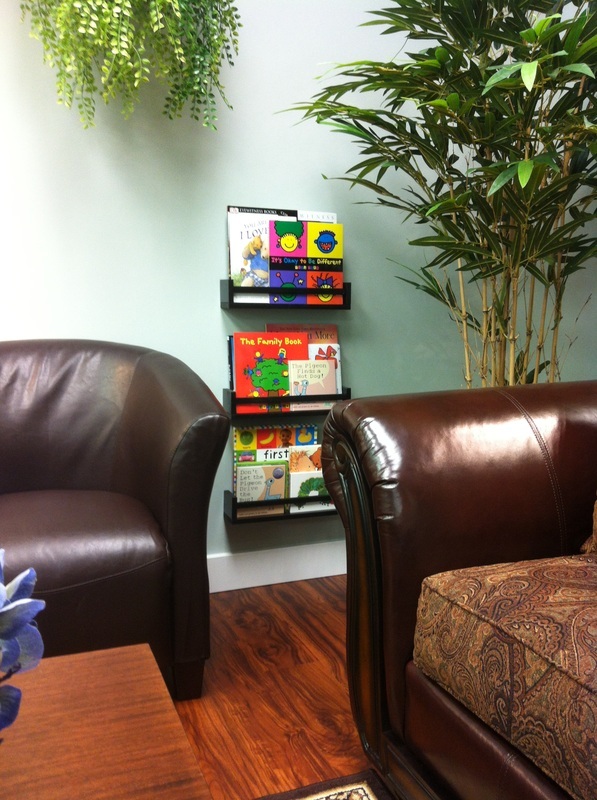 All therapy is confidential, and that includes your child's individual play therapy sessions. Your child needs to feel safe enough to talk about or work on things that are bothering him or her, and knowing that the therapist won't tell anyone what he or she says or does is a big part of what makes play therapy feel safe. Rest assured that if your child discloses that he or she has been harmed or is in danger of harm, we will tell you. We explain confidentiality and its limits to children at the beginning of the first individual play therapy session. When you and your child's therapist meet, she will share general themes or feelings she has noticed during her work with your child, so that you can work together to support her or him. What should I tell my child about coming to play therapy? You can tell your child that he or she will be meeting with a counsellor; a nice lady who helps children talk about or work on things that bother them so that they can feel better. Please do not give your child instructions about what to say or do during play therapy. It is important that children feel free to express themselves as they choose. Should I ask my child about his or her individual play therapy session? When the therapist explains confidentiality to your child, she will let her or him know that although we will not tell anyone what he or she says and does in therapy, he or she is welcome to share anything about the session with anyone. That being said, because children sometimes work on difficult or emotional things in play therapy without being fully aware that they are doing so, it is generally best not to question them too much about their play therapy sessions. You can trust your child to talk to you about the session if he or she needs to do so. Is play therapy covered by my insurance plan? It depends on your specific insurance plan. Email us for help on how to check if your insurance covers play therapy at Thrive. How can I support my child during play therapy? What should I do when I notice that my child seems to be feeling better, and decide that it's time to end my child's individual play therapy? When you notice that your child seems to be feeling generally happy and confident, and you decide that it might be time to end the play therapy process, please let your child's therapist know. You and your child's therapist will then schedule a closing session or sessions for the child. It is very important that your child has a chance to say goodbye to the therapist, because the therapist will have become a person whom your child has built trust with. Having the chance to say goodbye makes ending play therapy easier for your child, and lessens the chance of him or her feeling hurt or rejected by the sudden ending of a trusting relationship. Will you testify in court on behalf of me or my child? It is Thrive Counselling's policy not to become involved in the court process, because doing so could be detrimental to our relationships with clients. Our focus is on building strong counselling relationships with our clients, and on helping them heal and thrive. Can I bring my child to therapy without the permission of his or her other parent? When parents are separated or divorced, written consent from both parents is required for a child to attend counselling at Thrive. Family conflict is painful for children - they love both of their parents, and need them to get along as well as possible, even if they are no longer together. We understand that custody situations can sometimes be extremely messy and challenging, and we do not want to make this problem worse for the children involved by taking sides with one parent over another. Our goal is to be a stabilizing force for your family, so that your child can begin to feel calmer, happier, and more secure. How long does the play therapy process take? It depends on the child, and on the situation. Just as the counselling process is different for each adult, the play therapy process is different for each child. Generally, the more challenges a child has experienced in his or her life, the longer play therapy might be expected to take.